ii) spaces to support clients’ recovery and reintegration into the community. All our inpatient care units now provide each person with a dedicated bedroom. These spaces are designed to replicate a typical bedroom, providing private spaces, desks, wardrobes and their own bathroom. Small pods of rooms have 6 to 10 beds with a shared kitchenette and lounge. The rooms are appointed with residential type materials, lighting and access to views to mimic what might be found at home. Clinically, staff work with clients to develop their life skills in these settings, while encouraging positive social interactions with others within their pod. Support for clients starts in the facility, but goes far beyond, thanks to the programming provided by the clinical staff. For example, Parkin created an interior sky-lighted street at the Southwest Centre for Forensic Mental Health Care in St. Thomas, ON. Located along this street are a clothing shop, variety store, cafeteria and chapel where the clients can practice and model skills and behaviours they will need when they move back into the community. The final step before being released from the facility is a trial apartment where the client can live on their own, where they can cook their own food and wash their own clothes, while still having back-up help from the clinical staff. Once mental health clients have moved back into the community, support continues. A large outreach team based in The Southwest Centre visits former clients where they are living, to ensure they are adequately supported and are continuing in their journey to health. 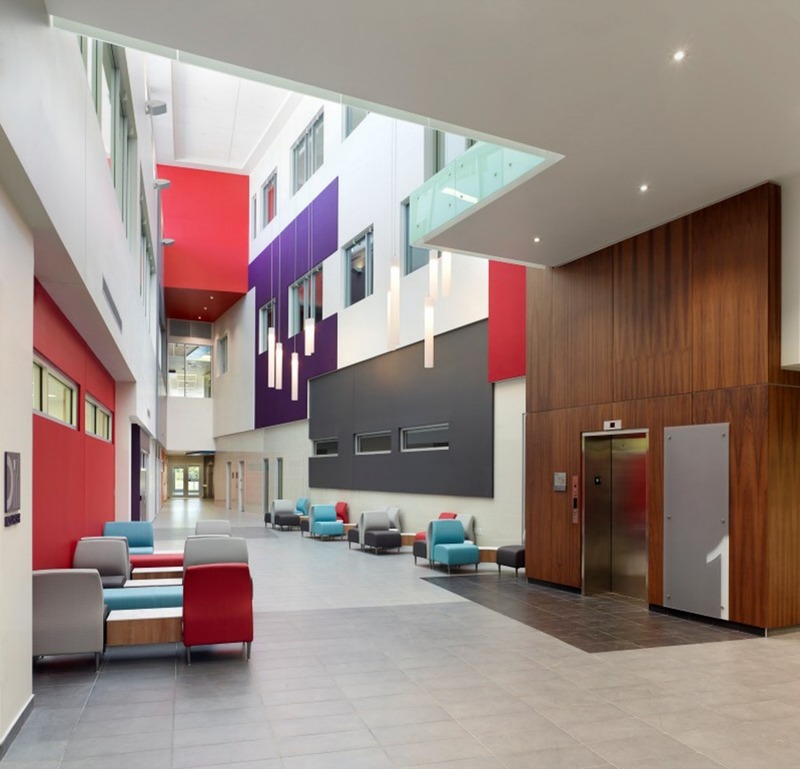 At the Parkwood Institute, a new mental healthcare inpatient/outpatient facility for St. Joseph’s Health Care London, designed by Parkin, there are extensive outpatient departments and program areas. These outpatient programs commence while clients are in the building, but continue once they have moved back into the community, to ensure that clients continue to control their mental illness and live safely in the greater community. These are just a few examples of how institutional mental health care is changing to provide support and collaboration across the system, while helping clients as they move to the community.